This 145′ by 48′ towboat represents the heyday of the long haul line towboats in the US. The design is drawn from many photos of actual boats by various manufacturers, but is principally based on the famous Jeffboats, and can be easily modified to represent any of a class of towboat that served from pre WWII to today. The larger towboats have from about 6000 HP from twin diesels and screws to about 11000 HP from triple or quad diesels and screws. These towboats can be seen along the entire length of the Mississippi River system. They often feature crew accommodations that are modern and luxurious. Many of them serve (and are owned by) US power companies such as AEP, which has an extensive network of coal-fired power plants along US rivers.. 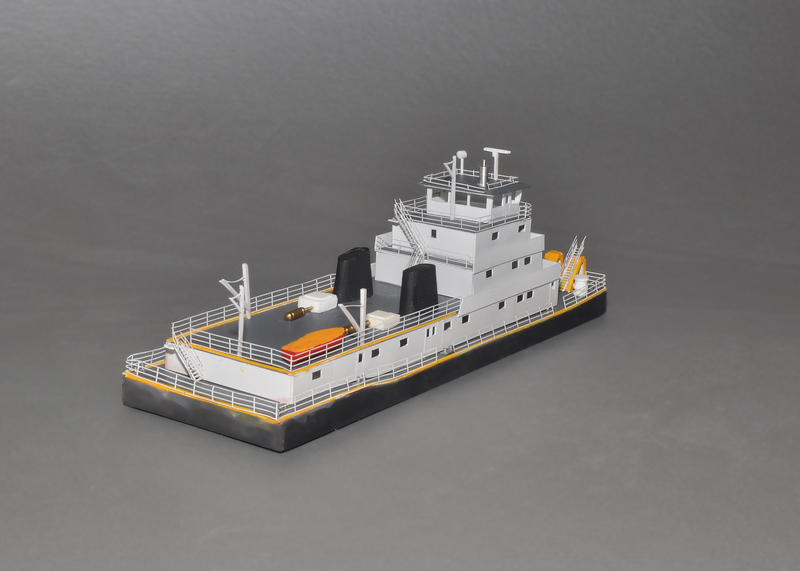 The model has all the features and details such as custom railings and stairways, precision cut styrene parts that allow interior views, and all the small precise details that N Scale Ships has become known for. 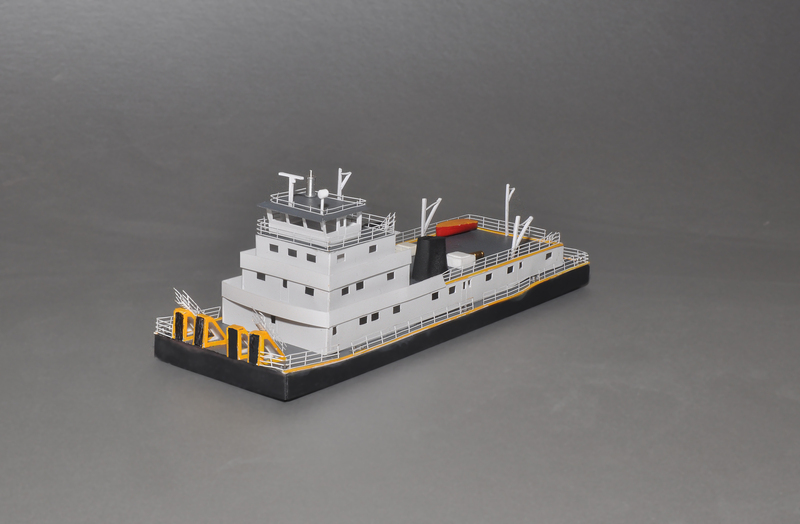 There is plenty of deck space to add your own details to personalize your model. This large towboat is a perfect complement to the 195′ Standard River Barges and their covers. They are often seen on the upper Mississippi River system pushing full lashups of fifteen barges, depending on current, or on the lower Mississippi handling even larger lashups..